individualized attention and personal assistance with their work. expert in international criminal law and evidence. graduates are totally familiar with workplace environments and technologies from their first day on the job. their peers and saving money on living expenses. find positions during and after university. 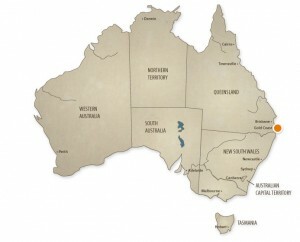 associates across Australia and overseas. Bond Rates #1 Australian University For Student Experience Again! is the No.1 Australian university for student experience, according to the latest edition of The Good Universities Guide released Monday 24 September 2018. Associate Professor Francina Cantatore has been nominated for Academic of the Year in the prestigious Australian Law Awards to be held at the end of August. Dr Cantatore, an academic at for the past seven years, is the Director of the Bond Law Clinic and was instrumental in the University setting up six law clinics after establishing the first in 2013. Research Fellow Dr Amanda McCullough was announced as the recipient of the Emerging Health Researcher Award for 2017, at an awards breakfast in Sydney on Friday, 20 March. is ensuring its prestigious law program remains ahead of the curve, completing the Faculty’s largest redevelopment in more than a decade to create flexible teaching and learning spaces that allow students to better collaborate and network. Dr Christian Moro from the Faculty of Health Sciences and Medicine has joined a distinguished cohort of educators as the most recent recipient of a Citation for Outstanding Contributions to Student Learning.